Join Lambert, the most sarcastic witcher of the wolf school, as you complete an errand for Yennefer in The Final Trial. Meet Lambert in the main hall of Kaer Morhen and tell him you’re ready to go. Follow him along the trail, which is uneventful until you reach a broad downhill slope with a stream. Here you’ll need to fight a pack of harpies; use Aard to drop them, then finish them with a normal attack while they’re downed. Follow Lambert again until you reach the pond. Skirt the edges towards the search area until you reach a pack of Drowners; apply Necrophage Oil if you like, because a Water Hag will pop up as soon as you down them. Lambert won’t let you steer the boat, so climb in and walk to the nose – interact to sit down. When you reach the other side you can optionally argue to go check out a pretty obvious illusion. It’s interesting to learn more about Lambert and the Trials, and how Lambert and Geralt differ, in so doing. Head through the cave when you’re ready (Lambert’s right; Cat is handy here), and examine the bones near the ledge. Climb up to the ledge with Lambert’s help. In the next few areas you can choose to use Aard on walls or look for ledges giving you access to routes around obstacles. Eventually you’ll find Old Speartip, a Cyclops. Apply Ogroid Oil if you elect to fight him, but you can just sneak around. Further on you’ll chat with a couple of trolls. No matter what you say Lambert aggros them. You can’t fight them, so hightail it to the cave ahead, and use Aard to clear the rubble between you and the exit. Outside, you can elect to keep talking to the trolls or to fight them. You have to leave your swords behind if you want to avoid a fight, but it’s perfectly safe to do so. When you reach the site, light the four braziers around the edges and then place the Phylactery on the altar. After you collect your swords you can opt to be transported directly back to the fortress, or to stay for a bit (and optionally walk back). Leaving immediately drops you back at the Kaer Morhen signpost, where you can conveniently kick off To Bait a Forktail…. There are two other quests that must be completed in order to finish Ugly Baby. I suggest moving on with To Bait a Forktail…, even if you haven’t already completed Disturbance. 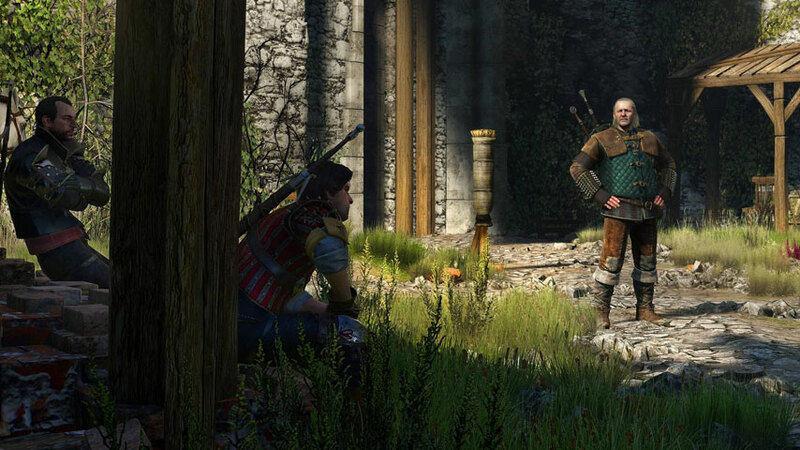 Onwards to To Bait a Forktail… or Disturbance – or back to Ugly Baby – or back to The Witcher 3: Act Two.